Event begins at 12:00 noon SL time on Saturday and runs until 12:00 noon on Sunday. 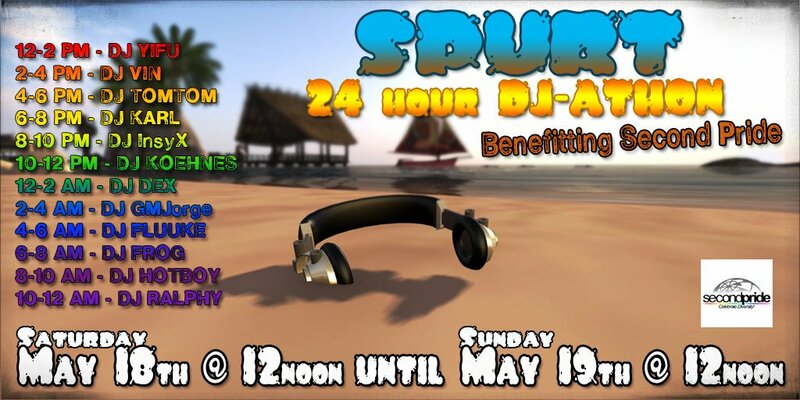 12 top Second Life DJ's will be spinning. Benefits Second Pride.